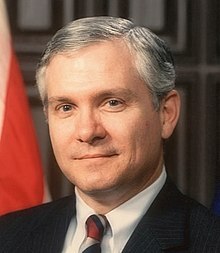 Robert Gates emi Secretary of Defense long Unaeted Steit. Gates bin bon long September 25, 1943, long Witchita, Kansas. Emi bin presiden long Texas A&M University bifo nao. Emi havem tu pikinini. This page was last edited on 9 Maj 2013, at 18:38.